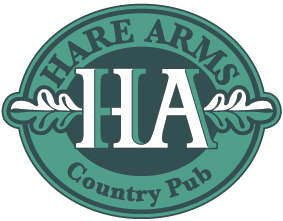 The Hare Arms’s large bar is a great place for a quick drink or hearty meal. 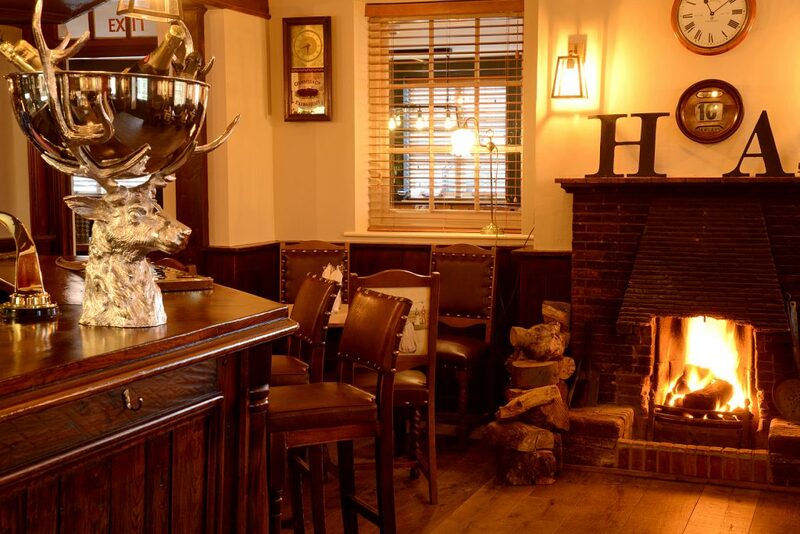 An open fire, comfortable surroundings and welcoming, chatty atmosphere makes it a favourite with locals and visitors alike. 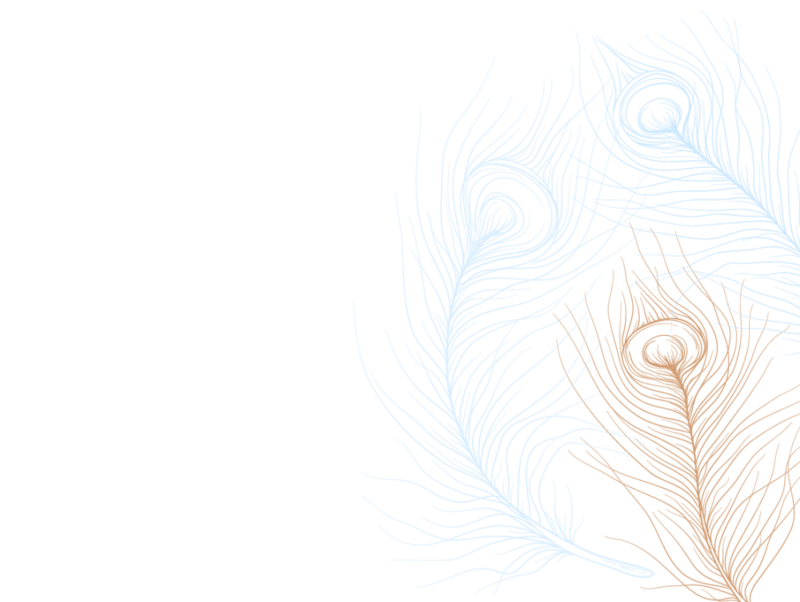 Friendly staff and a well-stocked bar serve local ales, spirits and a wide range of delicious wines. The full menu, which is full of local produce and tasty fare, is available throughout the bar area and caters for all tastes. It is not possible to reserve tables in the bar area, therefore for larger parties or special occasions we recommend that you consider making a reservation in the Main Restaurant or Old Coach House. The Bar and Main Restaurant are primarily adult environments where children under-14 are not permitted. Children are welcome in the new Front Room or Coach House when dining with their parents or guardians. Why not check out our range of Guest Ales?